Samsung has recently unveiled its own smart watch brand named Galaxy Gear and Sony brought down its second version of the very much successful smart watch called SmartWatch 2. Read this post to know what they are and a complete comparison of both models. 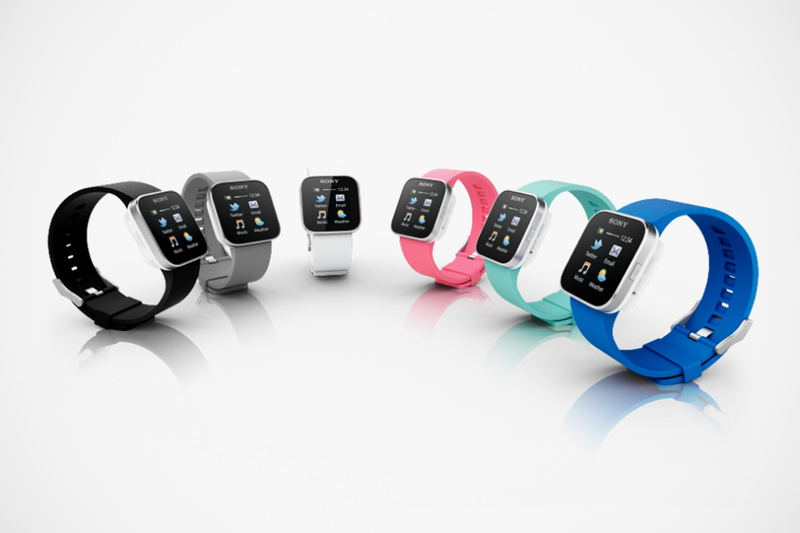 After phablets, smartphones, tablets now it is time for some smart watches. Competition has already begun if you haven’t noticed and Samsung has recently unveiled its first ever smart watch while Sony unveiled the second version of their smart watch. 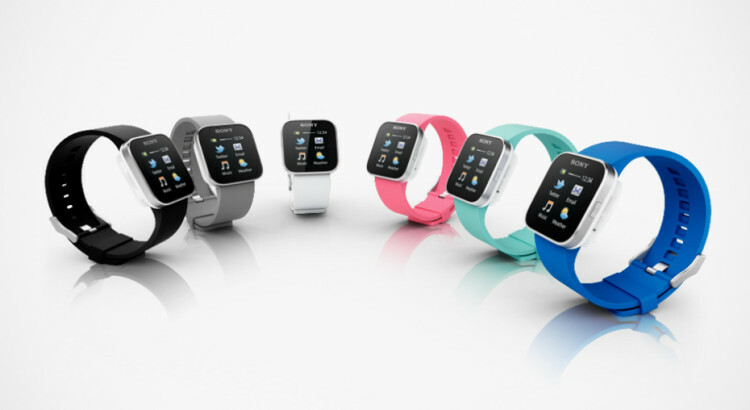 Sony’s original version of the smart watch has already been a success and it has many applications compared to gear. 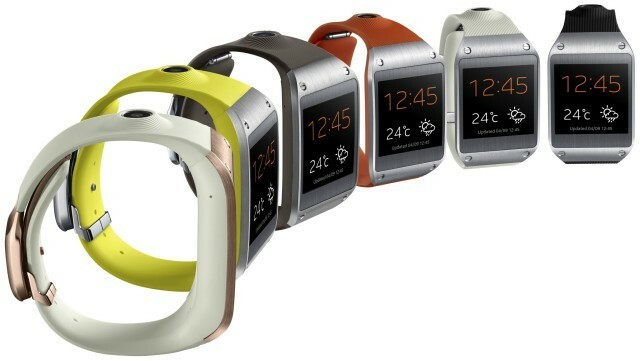 But galaxy gear comes with 200 apps for the beginning with various functions. While Sony’s smart watch has a remote control camera app using which you can take pics on your phone using smart watch, galaxy gear has its own built in camera to take pictures and capture the best moments quickly so that you don’t waste time in taking your phone out. Here we have is a quick comparison of the most important features of both the phones which will shoot a clear idea of which one lacks what features. 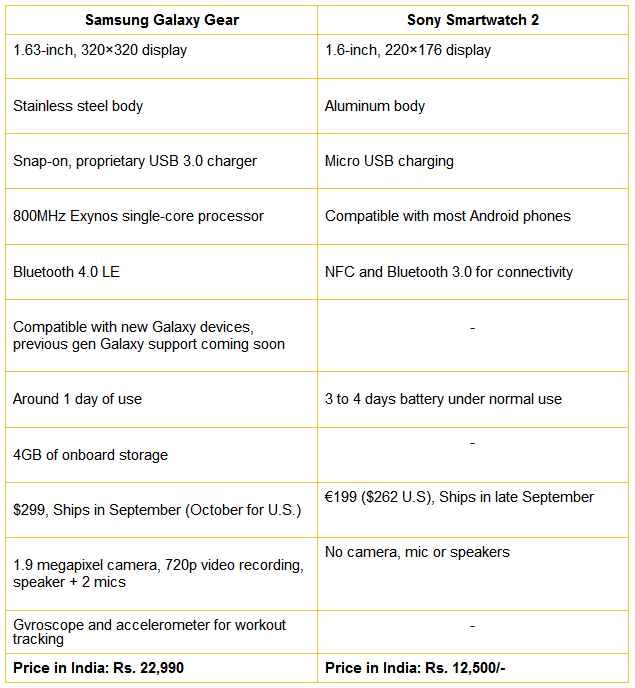 Those are the major differences and clearly Samsung Galaxy Gear stands out in many features as Sony lacks most of the specs. Sony is a big winner with the battery life and both the smart watches are their best in what they offer. Which one would you choose? Let us know in the comments section below. We also have a great gallery of the best possible pictures of both the smartphones, so do check them out.